Hi, I’m Emily! 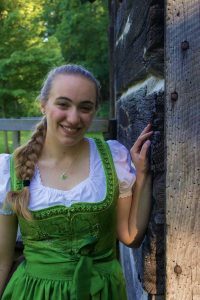 I’m a Junior at Hope College and I’m double majoring in International Studies and German. I’ve been studying German since I was a freshman in high school, so I’m super excited to be studying in Freiburg, Germany in the spring of 2018. I’m going to miss all of my family and friends back home in Michigan, but I can’t wait to meet new people and experience new things in Europe. To read Emily’s posts, click here!